Cranesy: What do you love about cranes? Roy: First of all at Prima Equipment we do a lot more business then only crane rental. 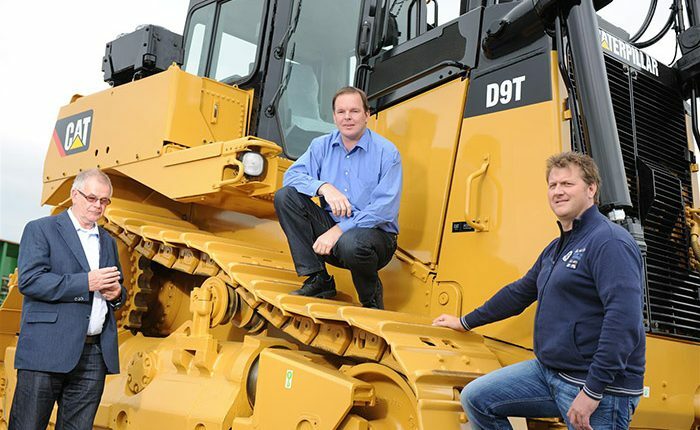 We also rent out excavators, dozers, wheeloaders and graders. We can offer the complete package, if needed with drivers. What i do love about cranes? Well it is a piece of the puzzle in our Company and it makes us a more interesting partner for our customers. Cranesy: How did you join into this sector? Roy: Grown up with yellow iron, got infected through my dad who is still in the business, almost 50 years now. Cranesy: What’s your favourite memory about your work with cranes? Roy: That is a special crane/excavator we build back 8 years ago. The HRD88, combines a telescopic crane with a demolition excavator. It is the biggest in the world with a reach of 88 meters. Roy: I had a teacher back at school when I learned to become a mechanic. He told me that once you get involved in this busines it will change your life and you will never get out of it again. That says it all I guess. Cranesy: Are you facing new challenges in this sector? Tell us about it. Roy: It is very difficult at the moment. Because of the internet the world got transparent, world economics are not good at all, requests for minerals are at a low level. These all need to be seen as a challenge not as problem. We will manage this challenge and get over it in the coming future. Cranesy: Safety in workplace. Would you give some essential advice about how to protect yourself from potential injury? Roy: Always keep in mind the size and weight of the machines we are working with. Prepare yourself before going on a jobsite. Think before you act! Cranesy: Would you recommend other young men to undertake this career? Roy: Yes this business is very diverse. It needs young qualified people to stay up to date with current and new technologies. Cranesy: What does HAPPINESS mean for you? Roy: Spending time with my family, at home and at my job.